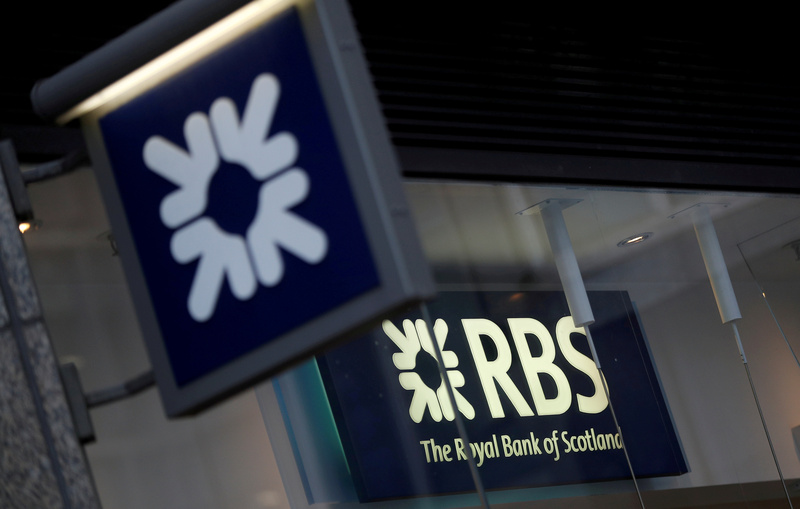 Royal Bank of Scotland has announced its first dividend since 2007, despite a paltry 1.1 percent return in the second quarter. Excluding one-off fines, the show of strength is credible. Lower core costs and impairments should close the valuation gap with Lloyds Banking Group. Royal Bank of Scotland on Aug. 3 reported net income of 201 million pounds for the second quarter, down 76 percent year-on-year, on revenue which fell by 8 percent year-on-year to 3.4 billion pounds. The bank’s quarterly pre-tax profit was 613 million pounds, a decline of 50 percent compared with the same period last year. The bank’s common equity Tier 1 capital ratio at the end of June was 16.1 percent, a decrease of 30 basis points from three months earlier. Return on tangible equity was 1.1 percent for the period, compared to 8 percent a year earlier. For the half year ROTE was 5.3 percent, down from 5.6 percent. The bank announced an interim dividend of 2 pence per share, its first shareholder payout since 2007. RBS shares were up 2.7 percent to 257 pence at 0810 GMT on Aug. 3.